It’s almost that time of year again — a time when “stockings are hung by the chimney with care,” a time when the family gets together to celebrate the season, and a time when friends reunite with some good food and some good craic. It’s also the time when those stockings that were hung by the chimney need to be filled! Stockings are usually the first of the presents to get ripped open when everyone excitedly huddles around the tree, and if you have an outdoor enthusiast in your life, you’ll want those stocking fillers to light up their face! We’ve put together a list of the 13 best stocking fillers that are sure to please the adventurer at your Christmas party! A loop on the back of the pack also allows you to strap it to your belt, a backpack, or any other convenient place for easy access and portability. 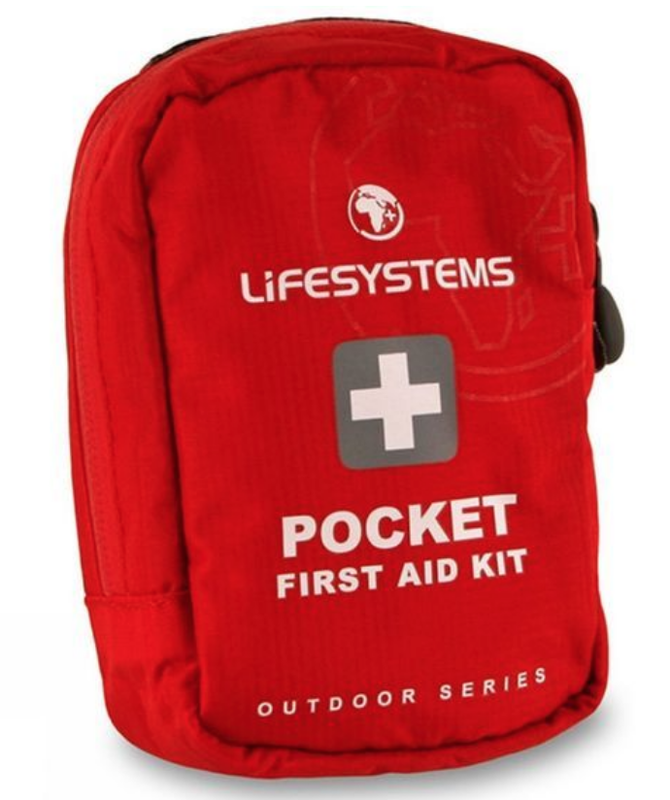 Keep your outdoor-adventurer safe by sticking one of these in their stocking. The next time they come across a nasty blister on a hike, they’ll be thanking you for it! Buy it now at Cotswold Outdoor. The Petzl ACTIK CORE headtorch is a great choice for hiking, biking, camping, and running! At 350 lumens, this torch burns bright and makes sure you can see all of your surroundings, and it’s water resistance means it will still shine bright in the rain. Also, the rechargeable battery allows for a full seven hours of light, and you can also power-up on the go with the micro USB port, making it one of the most convenient torches around! The torch also boasts some great versatility with an option for red lighting to preserve night vision and a reflective headband to help you stay safe and seen. To top it all off, it is also equipped with an emergency whistle if you ever find yourself in need of rescue. Buy it now at Great Outdoors. Need a little bit more light for your next camping adventure? The iProtec Pro 500 Torch is a powerful, 500 lumen flashlight that is completely waterproof, lightweight, and is equipped with 5 different light modes (high, medium, low, defensive strobe & S.O.S.). This light has optimized optic technology that creates a perfectly dispersed beam on intense light that is as intense around the edges of the beam as it is in the middle. Also, truly thinking of everything, the torch comes with a glow-in-the-dark ON/OFF switch to provide easy access to the light. Every outdoorsman or woman needs to have a multipurpose tool on hand. This handy, pocket-sized tool is easily portable and has all the features needed to accomplish as task in the outdoors. The outside-accessible blades allow you to open the knife with just one hand, and the rounded handles provide and easy, sturdy, comfortable grip around the spring-action jaws. 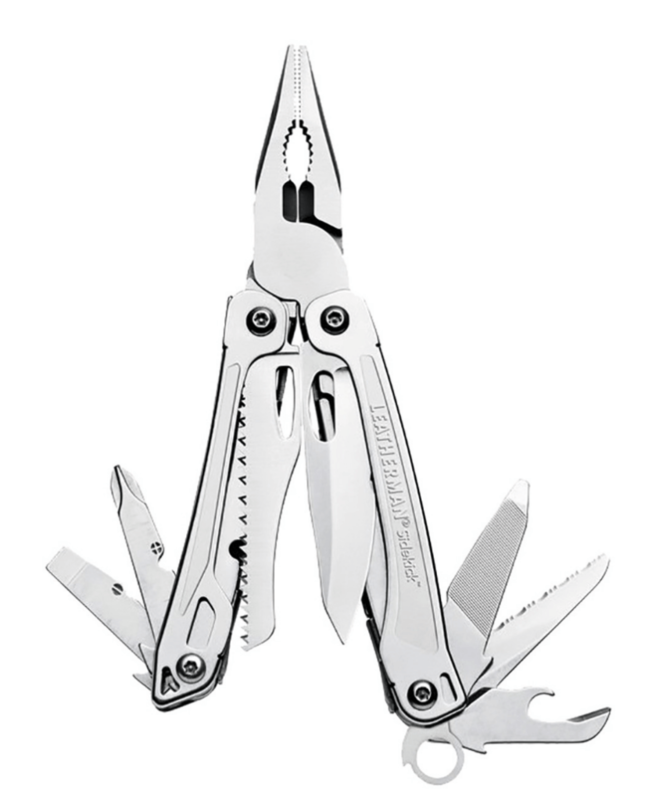 Make sure you’re stuffing that stocking with the most useful products an outdoorsman can have – and this Leatherman is definitely something that will last for years. We all know how cold an early morning hike can get during the Irish winter. The Camino Polar Buff is made with fleece at the base, and then full-length microfiber on top. 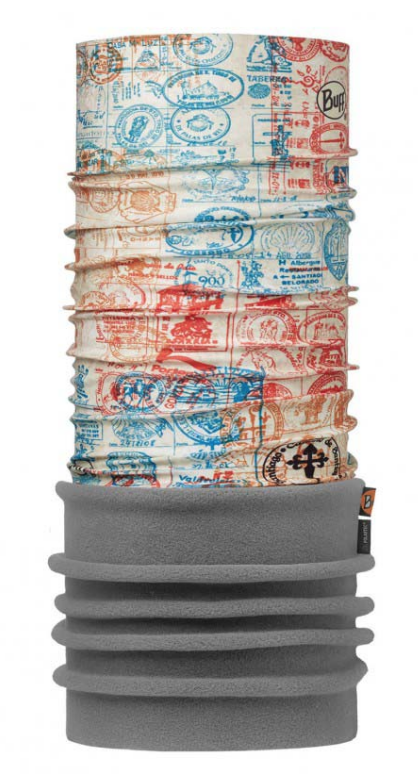 This means that you will have concentrated warmth on your neck, and then the versatility and breathability from then on. This buff is nine inches longer than the Camino’s original buff, so the material can be worn 10 different ways! The moisture wicking material wicks away any sweat that is inevitable during a long hike, and the quick-drying properties keep you comfortable all hike-long. And, at only 2 ounces, the material will feel like practically nothing when you suit-up. Buy it now at Basecamp. 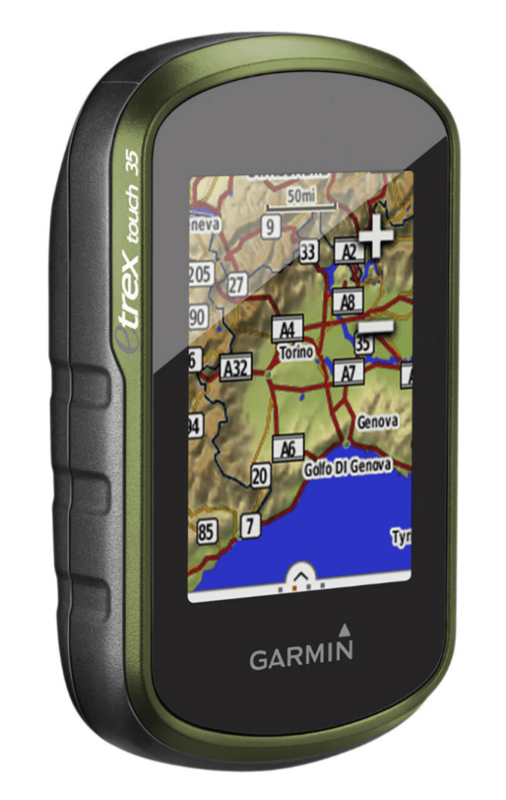 The Garmin eTrex Touch 35 will surely have any hiker (avid or beginner) squealing in joy on Christmas morning. Durable and waterproof, this GPS navigator can withstand any dust, dirt, humidity, or water encountered, and is made to provide mapping and tracking data no matter what the elements throw at you. This GPS comes with pre-installed maps, automatic routing, tide tables, and an electronic compass. Also, the added barometric altimeter supports alpine activities such as mountaineering and mountain biking – and, the cycling mount for the device is already included in the box! Give your techy-athlete something that will light up their faces on Christmas morning, give them the Garmin eTrex Touch 35! 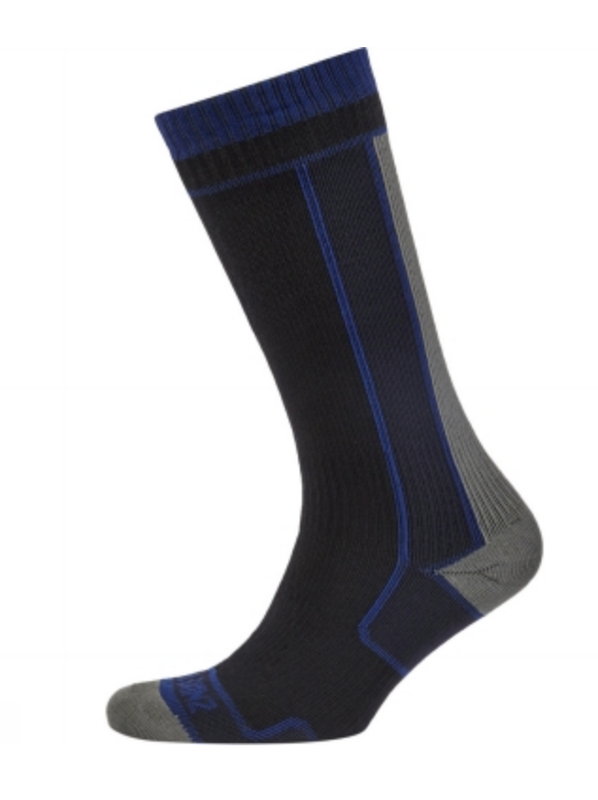 This thin, lightweight, mid-length sock is a perfect choice for any hiker. The Merino wool lining works to keep your feet warm while still maintaining maximum breathability, and the soft material also works to wick any moisture away to keep you comfortable. Also, the elasticated ankle and instep keep you supported where it is most needed, and the windproof features keep your calves and ankles protected from the elements. Buy it now at Outdoor Adventure Store. 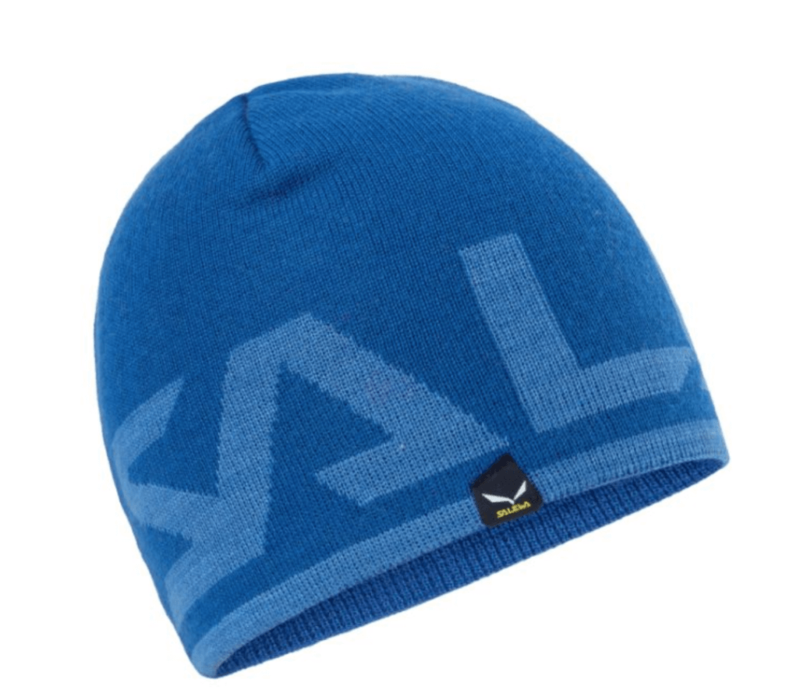 The experts in comfort and warmth over at Salewa have perfected a cosy winter hat that would be perfect for any stocking stuffer. This extra warm beanie is a soft, warm, reversible hat with a wool mix that is perfect for hiking. Buy it now from Adventure.ie. We all love to treasure our precious moments in the sunshine, but sometimes, the glare of the sun’s rays can really put a damper on your time outdoors. 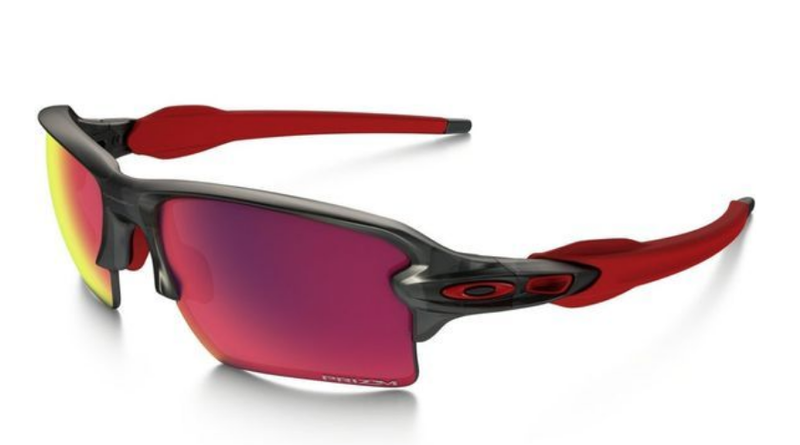 Oakley’s Flak 2.0 XL Prizm Road sunglasses have enhanced lens coverage and are specially designed to protect your the entirty of both of your eyes against wind, sun, and the elements. These filtered lenses have been adjusted to enhance visual clarity and allow you to see changes in texture of road and trail surfaces, whether you’re biking the road or hiking the trail! Also, the frames are stress resistant and lightweight for all-day comfort and durability. Buy it now at Cotswold Outdoors. Looking for a water bottle that’s easy to use, easy to carry, and easy to stuff in a stocking? Look no further! The Contigo Chug 24oz water bottle has a wide mouth to let water flow smoothly, which is ideal for if you need to drink a large amount of liquid quickly. The spout of the bottle is comfortable to drink from without risking spilling, even when you’re on the move! This bottle is ideal for one-handed drinking. Simply push the spout button, and the lid flips open. There is also a special locking mechanism to keep from accidentally pressing the button, and a carabiner clip makes it easy to clip the bottle to your belt or bag! Buy it now at Wild Side Sports. 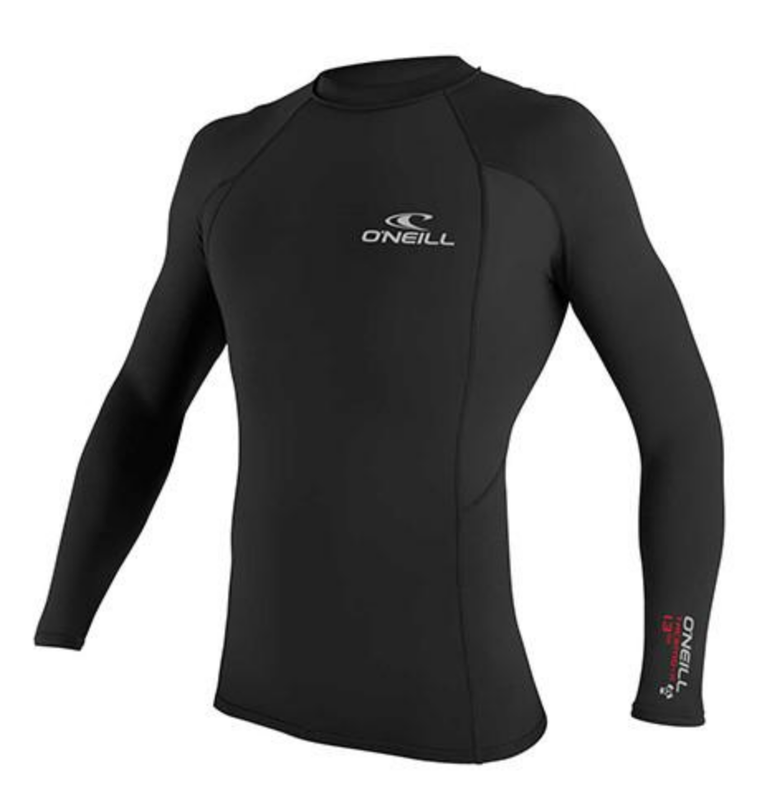 O’Neill’s Thermo-X layers provide water-sports enthusiasts with amazing insulation while retaining low-bulk and quick-dry properties. This thermal layer’s water repellency is engineered to keep your core toasty. Additionally, the extremely flexible fabric, rash protection, seamless paddle-zones (to prevent chafe in the most prone areas), and low crew neck (as to not interfere with a wetsuit neck) make this one of the most comfortable, essential items to add to your kit this winter. It can also be used to keep you warm and cosy during other sports, including running, biking, hiking – you name it! Buy it now at Surfdock. 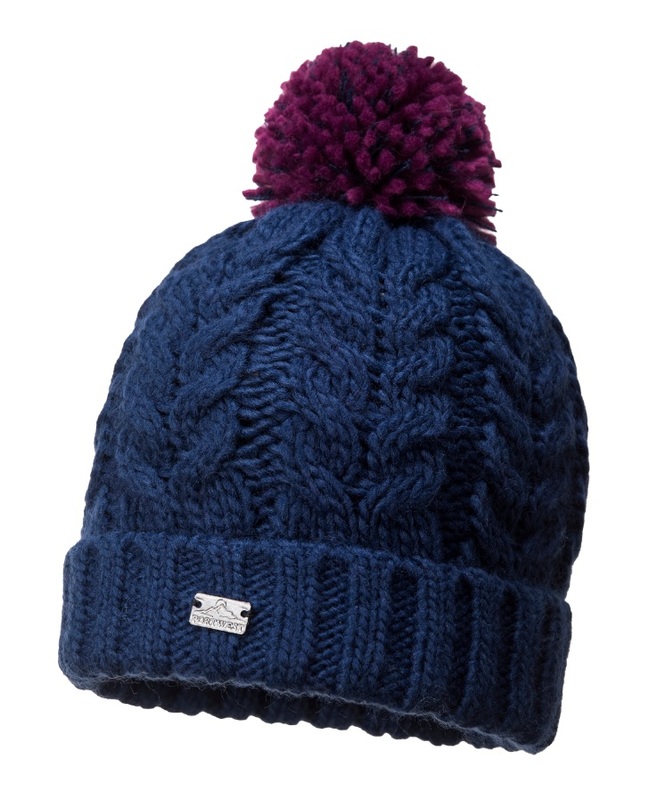 The Delphi Knitted Cap is a warm and cosy hat that comes with fleece lining to keep you warm and toasty. This hat is perfect to put on after a chilly swim or a long hike in the winter months. Its stylish design and comfy features make this a perfect layer to add to your adventure kit. Buy it now on Portwest. 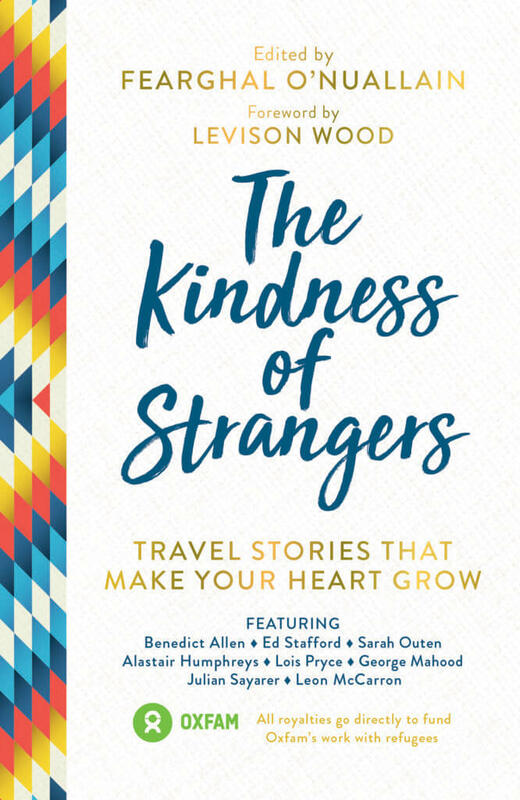 The Kindness of Strangers is the next great adventure book that will make the perfect stocking-filler to lift your spirits this holiday season. This book features a collection of stories by adventurers who share the tales of their harrowing journeys in the great outdoors. Buy it now at Dubray Books. 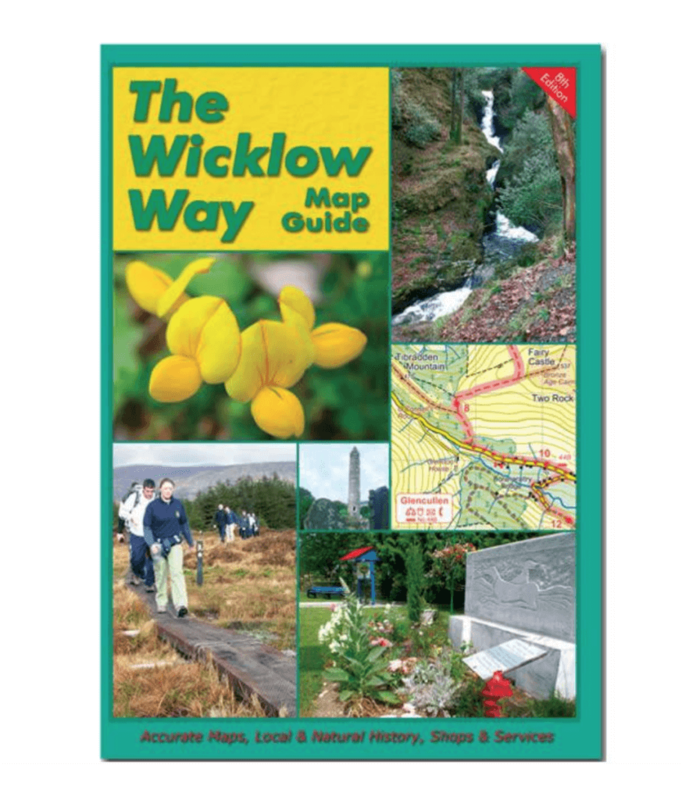 This guidebook shows you all of the ins and outs of Ireland’s oldest way-marked trail — the Wicklow Way. This book includes maps and up-to-date information that will keep you safe and well on your way. This map is available in both directions. Buy it now at Adventure.ie.